This week, anticipating the release of Disney’s “Maleficent,” we welcome Disney historian and author Charles Solomon to the show to discuss his latest book “Once Upon a Dream: From Perrault’s Sleeping Beauty to Disney’s Maleficent.” Solomon talks about the origins of the Sleeping Beauty story, and discusses the artwork and animation of the classic animated feature, as well as some of his stories about the cast of the upcoming movie, to be released in less than 4 weeks. 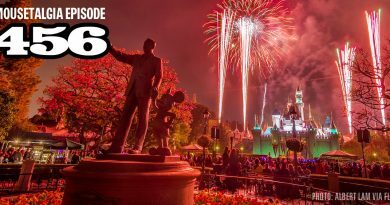 Also, Jeff starts planning a vacation to Walt Disney World, and we dive into the world of My Disney Experience, My Magic Plus, and the illusive Magic Bands. Learn a little bit more about what you can expect when you book a trip to the East coast’s Magic Kingdom. Plus – celebrate Cinco de Mayo with Mousetalgia as we discuss our favorite Mexican eateries on Disneyland Resort property – and more!